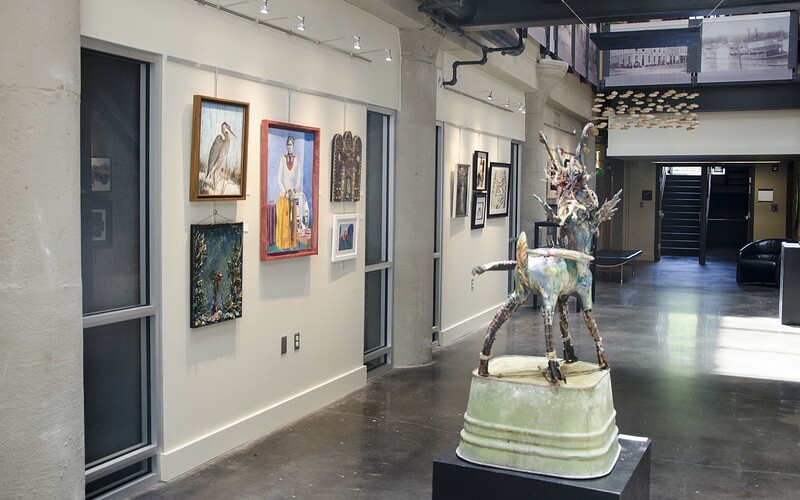 The Arkansas Art Center has played host to the Annual Delta Exhibition for six decades. This juried compilation is viewed as one of the premier exhibitions in Little Rock and beyond. Longevity is one tribute to the show’s success – perhaps greater, though, is the introduction of the Delta des Refusés, which was officially set in motion in 2015 by local artist, instructor, and curator Rachel Trusty. To understand the Delta des Refusés, one must first know a little about the Annual Delta Exhibition, as well as have some knowledge of the history of a Refusés show – dating back to the original Salon des Refusés. 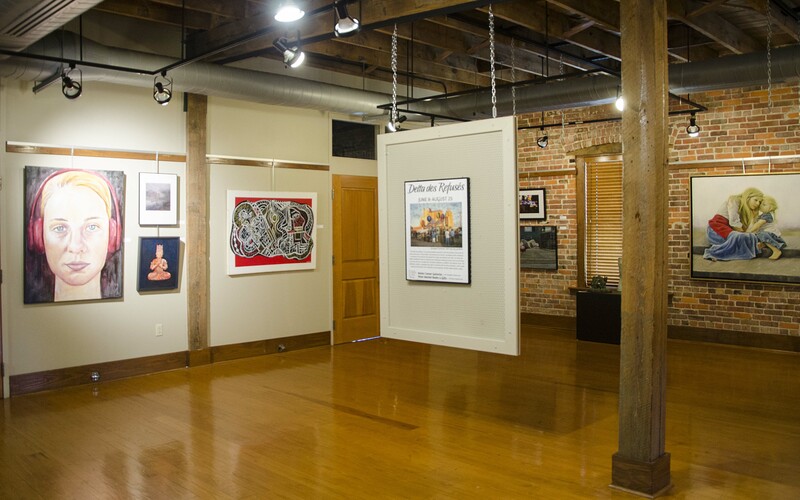 The Annual Delta Exhibition was founded in 1958 with a goal of featuring art that is tied to life in the Delta region, which displays contemporary themes, mediums, and expression. Anyone in Arkansas and its bordering states are eligible to enter. The Delta historically has been a region of strong craftsmanship with a culture all its own. 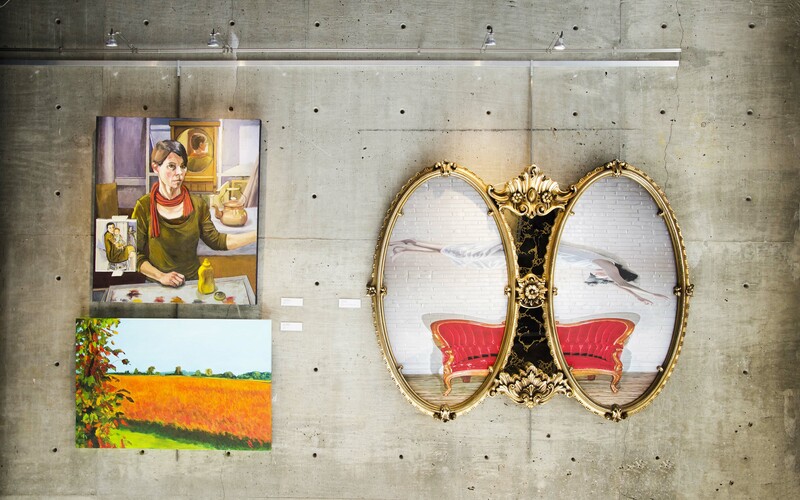 Chosen works are valued on their ingenuity of expression, use of material, and overall style. 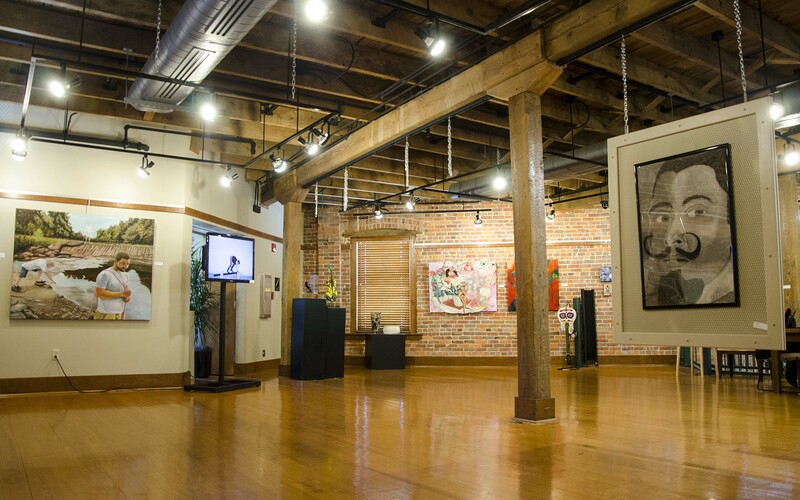 Speaking of chosen – the show has always been a juried exhibit versus a curated collection. 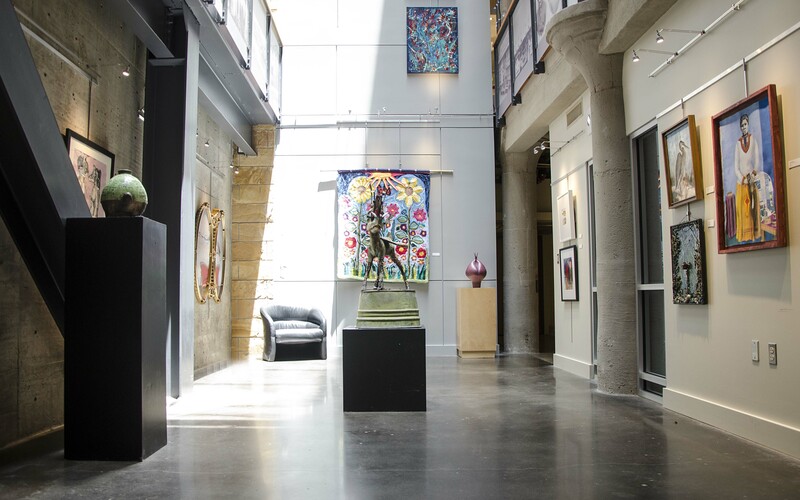 And, at least in the recent past, the Arkansas Art Center brings in one artist to sort through the enormous pool of entries and pare the show to a reasonable number of pieces. The juror changes from year to year, which can be frustrating for entering artists. What might work one year is likely not applicable the next. As one of the most well-known shows in the area, it can be a frustration to enter, year after year and never make the cut. And while critics ridiculed the Salon des Refusés, a substantial number of people visited the show, which housed paintings that today are considered famous in their own right. The show became a testament to the emerging avant-garde. So, when Trusty set out to create the Delta des Refusés, she didn’t let a little thing like lack of experience hold her back. Of course, with anything new on the scene, there was a sense of skepticism both from artists and patrons alike when the show first opened. “I think that some artists worried about participating and worried about the quality of the work that would be in the show. The first show was quite a mix of work, but the public came out and it got a great response. I think people enjoyed the work and the event experience,” she said. The show has continued since then – only taking a year off in 2017 when Trusty was unable to work with a last-minute venue cancellation. In 2016, the Delta Exhibition chose a juror from New York with a specific taste. The result was a monochromatic, and a smaller-than-usual Delta Exhibition, which ultimately meant some of Arkansas’ most loved artists were not included. “It was a really good moment for the Refusés as many of those artists, who felt comfortable with the exhibit from the year before, decided to enter. The 2016 show had very high quality work. The Thea Foundation did an amazing job at advertising the show and the opening was very well attended. I think these things solidified the show as a legitimate show,” she explained. The show continues to grow, with participation at 50 for the inaugural 2015 show, 80 for the 2016 show, and just over 100 for this year. Trusty, in the spirit of keeping the show fair and open, is already considering the affect growth might have on securing a venue. 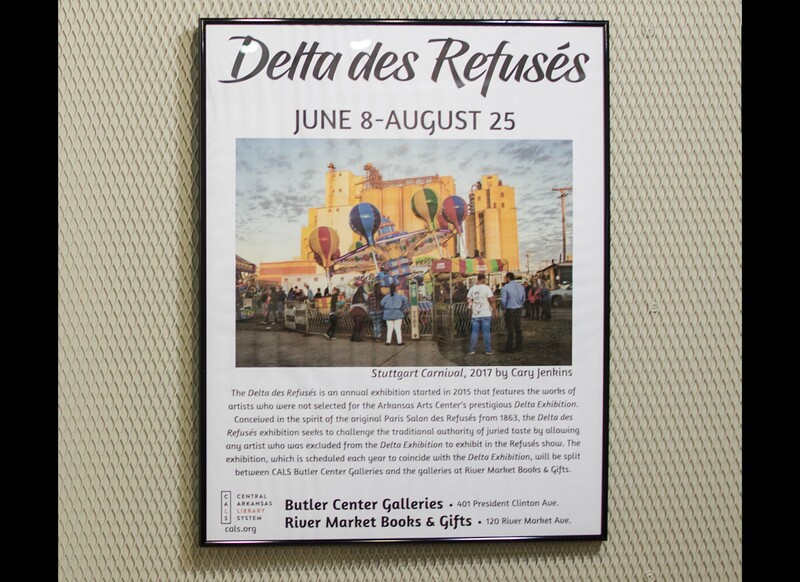 As long as the Art Center puts on the Delta, there will be a Refusés show. After all, the Delta des Refusés would not exist without the Delta Exhibition. This year, a few local artists weigh in on what it means to be in the Delta des Refusés, and how they see it affecting the scene, their work, and central Arkansas-large. Julia Napolitano has been into art for some time, but only recently delved into furniture buildilng. “Building furniture from wood is a very calculated act. I think that’s what I like about it. You make a plan [and] then take action. Measure. Cut. Mess up. Freak out. Problem solve. Repeat. I also find joy in functional objects transcending their intended purpose and becoming an object of beauty and interest,” she explained. Jaquita Ball, an artist based in Bentonville, Ark., started out at KARK-TV as the courtroom sketch artist, newsroom artist, and newswriter in 1976. Ball has a hard time pinning down a preferred medium, but says that she gravitates toward open acrylic, encaustic, and pastels. This year, Ball took the show as means to experiment, getting outside of her usual realm of color. Originally from central Arkansas, Ball has many thoughts on the scene. Weigh in on the conversation and visit the Delta des Refusés in downtown Little Rock before Aug 25. For more information visit https://www.deltadesrefuses.com/.